Alexandre is a Partner at Arthur D. Little based in the Middle East, and is the Energy & Utilities Practice Lead for the Middle East. Alexandre has served a wide range of clients across the entire energy value chain, with twenty years of strategy consulting experience. Alexandre’s focus is on national oil & gas companies, and he has founded the national oil company competence center at Arthur D. Little – a knowledge house and thought leader on key challenges in the industry. His areas of expertise include strategy development, innovation management, organizational design, performance improvement, and E&P tax regime negotiation. Alexandre has a strong track record in helping E&P leaders shape their management agendas, and in leading projects for both national and business energy policies. Alexandre has been central to resurrecting Arthur D. Little’s impeccable track record of supporting nations in building up their national organizations and capabilities. He has also supported a host of national and international authorities in addressing challenges in core domains such as exploration, production improvement, and asset transfer & license management. Alexandre previously led Schlumberger Business Consulting (SBC) in the Middle East, North Africa, and in Indian subcontinent. 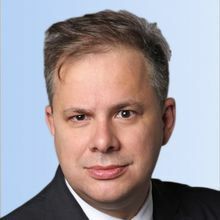 Alexandre holds a master’s degree in history from Paris Sorbonne University and a master’s degree in foreign affairs from Panthéon Assas University.